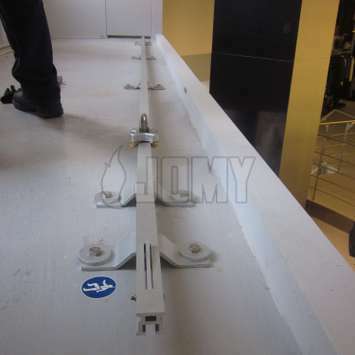 The JOMY lifeline is available as a vertical or horizontal fall protection system. 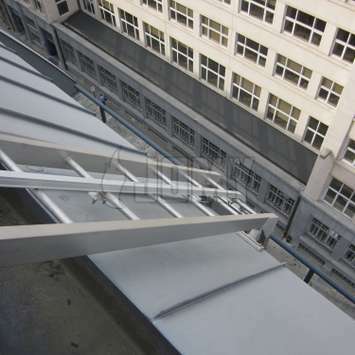 It can equip all of our access and egress ladders and special constructions, or be used standalone fixed to any surface. 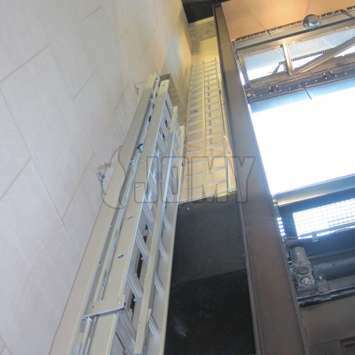 Because the vertical fall restraint system is based on a fixed aluminum rail, it requires no maintenance. In case of a fall, only a visual inspection of the rail is needed. No replacements, retensioning of cables, or other maintenance steps are required. 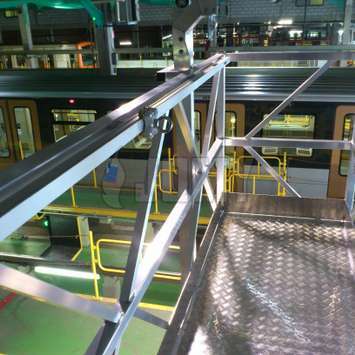 The rail can be used for vertical and horizontal applications with the use of different carriages. Attachments are available to easily fix to most support structures, including floors, walls, ceilings, I-beams, and ladders. The rail is very unobtrusive. The rail section is smaller than 31mm x 31mm. 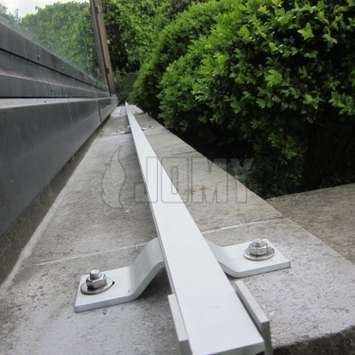 The rail can be used straight or bent in most desired forms, with a minimum radius of 34cm. 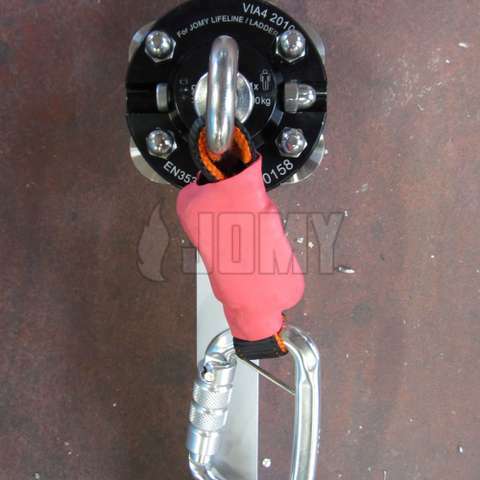 The vertical fall restraint system is developed according to the EN 353-1 standard. The horizontal system to the EN 795 standard. 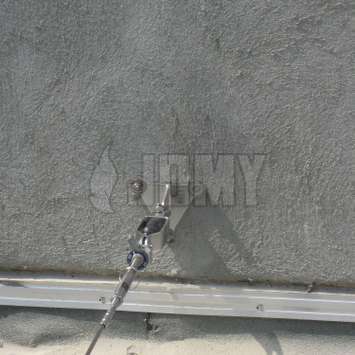 The SecuRope is a lifeline, based on a stainless steel wire rope and a glider. 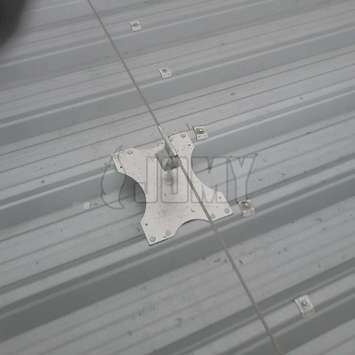 It offers a solution for horizontal fall safety requirements, typically covering relative large perimeters. 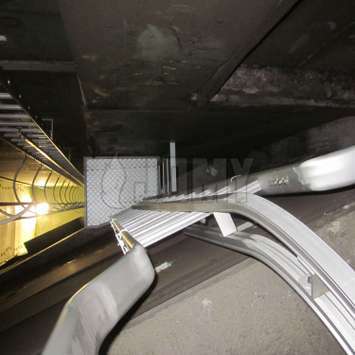 Minimal maintenance : In the event of a fall, a cable retensioning is all that is required. No replacement of anchors or other components is required. Speed of installation : The SecuRope was designed for fast installation. A single continuous cable is used from one end to the other. The line consists of only 3 individual castings. The line can be installed on the floor, against a wall, or on the ceiling. All anchors are fixed by one bolt only. No special components are needed for curved sections. Minimum load on support structures : The line is designed to support up to 4 persons, with a distance of up to 1m between two successive anchors. Two energy absorption devices are provided for the intermediate and end anchors. The loads on the building structure in case of a fall are limited to about 15kN (depending on the configuration of the line). Ease of use: The glider and the intermediate anchors are designed to facilitate the passage in all operational configurations. The angle of the intermediate anchor can be adapted to the specific use requirements, while allowing part of the shock to be absorbed in case of a fall. Approved by APAVE, certificate 204611358.